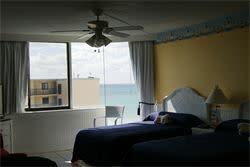 This vacation rental is located on the world's most beautiful beaches in Panama City Beach, FL. 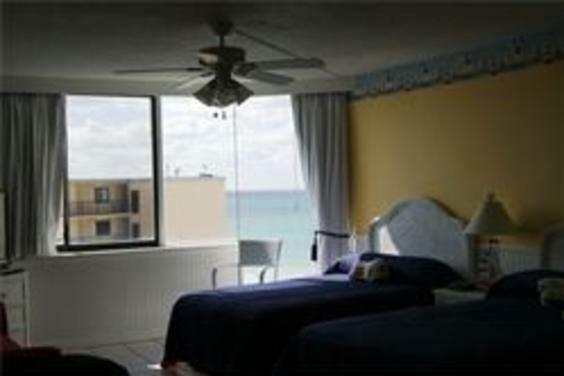 This is studio condo at Top of the Gulf has a fully-equipped kitchen with dishwasher, full size refrigerator, tile floor, large TV with DVD player. This unit is newly decorated and features 2 double beds. 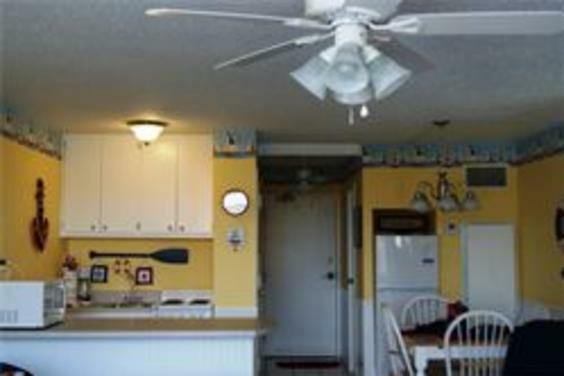 The condominium is located in the heart of Panama City Beach, and is within walking distance to Clubs LaVela and Spinnaker, shopping, golfing, and other activities. There is an age restriction of 21 years old for singles, and it is strictly enforced. 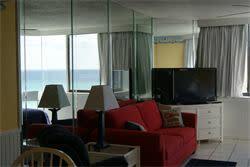 This condominium unit is a NON-SMOKING Unit. (Smoking allowed in outside areas.) Smoking in the unit, or any other deviations from the rules of Top of the Gulf (including failure to occupy the room without advanced notice) will lead to a forfeiture of the $200 deposit. We do not allow pets. By sending the deposit, you are agreeing to these simple conditions. Shell Island, Captain Anderson's, St. Andrews State Park are close by. 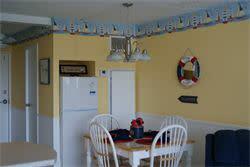 You can take a dolphin sightseeing trip, rent a boat or jet skis, or take a dinner cruise here. 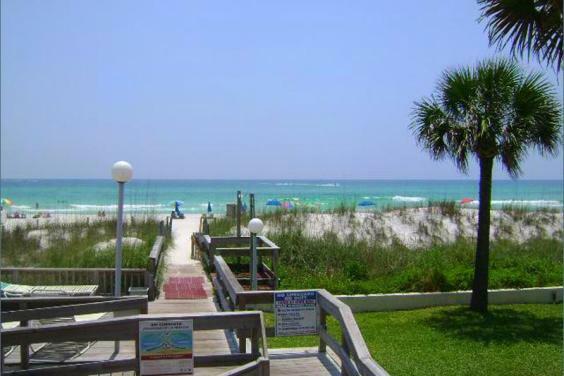 Pier Park is close by with shopping, restaurants, and plenty of fun things to do. 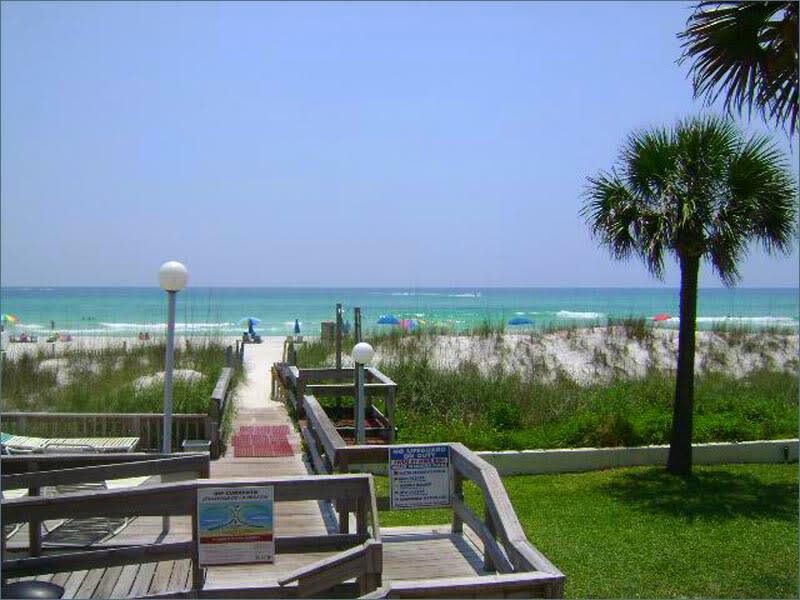 This vacation rental is located on the world's most beautiful beaches in Panama City Beach, FL.